Nothing says Saves The Day more than the X Prize Foundation and its massive, themed prizes to people working on potentially world changing technology. Right now 146 teams, from 21 countries, are working on the $5 million AI Prize, sponsored by IBM Watson, which has its final, of sorts, with three teams competing for the Grand Prize at TED's 2020 conference. 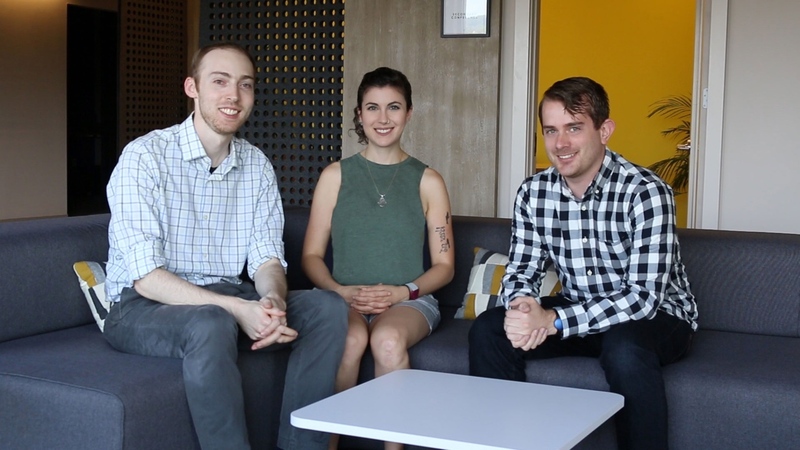 One of those teams is Pittsburgh based AI startup Behaivior - spot the 'ai' in that name there - co-founded by Ellie Gordon, Jeremy Guttman and Ryan O'Shea in January of this year. You might remember O'Shea, a man with an impressive resumé, as we just spoke to him in his capacity as spokesperson for biohacking startup Grindhouse Wetware. He's also a speaker, Future Grind podcast host and 'solar system ambassador' for Nasa and CalTech's Jet Propulsion Laboratory. Unlike other X Prizes, like the $1 million Women's Safety X Prize, which we've also been following, this AI Prize isn't limited to one particular problem. So what is Behaivior's big idea? In a line, using wearable tech to help people dealing with drug addiction. The team of three co-founders, plus advisors, consultants and interns, isn't ruling out building its own wearable device. But for the time being, the work is based on using existing wearables to build a sensor-powered (GPS, heart rate, motion, stress) AI system. The goal is for it to be capable of "identifying drug craving states" and triggering interventions, by drug counsellors, family or parol officers, in order to stop relapses, all in real time. More specifically, the focus is on opioid addiction. "Everyone can have their own unique triggers that initiate a drug craving state and lead to relapse, but one of the most common triggers is stress," O'Shea explained to us over email. "Strong emotions such as anger, fear, or sadness can be stressors that lead to drug use, but extreme happy emotions can also have the same effect. Other triggers can include the people, places, and things that are associated with drug use, such as interactions with someone you did drugs with, being at a location of drug use, or drug-related paraphernalia such as cotton balls, aluminium foil, or lighters." As well as wearable physiological data, Behaivior plans to use contextual data from other Internet of Things and connected devices too as well as for instance, smartphone calendars showing a missed appointment. It sounds like a comprehensive vision for gauging an individual's pattern of behaviour. "Different people have different responses to different treatments, but for many, nothing seems to work. The response [to Behaivior] has been highly positive from both treatment professional and those dealing with addiction. It might not be for everyone, and there are very real concerns about privacy for some people. However, for those who want to overcome their addiction, Behaivior can provide a cost-effective, efficient, and useful tool." We've seen plenty of wearable tech startups shoot for biometric emotion and behaviour tracking before, many based on similar research and some, like London based Vinaya, now sadly gone. And unsurprisingly, O'Shea sees a lot of use cases beyond monitoring drug addiction and relapse especially when it comes to the role of stress in our life. "Ultimately what we're creating is a general pattern recognition AI," he says. "The first use case is opioid addiction, but after the technology is proven we plan to expand to stress, smoking, sleeplessness, overeating, suicide, and more. Imagine the impact of wearable device that identifies and intervenes in potentially stressful situations. "According to the American Psychological Association, emotional stress is linked to the six leading causes of death: cancer, coronary heart disease, accidents, respiratory disorders, cirrhosis of the liver, and suicide. We have the potential to provide major improvements to the quality of life of many by simply addressing stress in real-time. " If Behaivior wants to make it through the 2017 and 2018 rounds of the IBM Watson AI X Prize, its algorithms will have to deliver on what its founders are promising, especially given what's at risk here. The rival teams in the competition are working on everything from education and gaming to digital health and robotics. As for the wearable tech connection, O'Shea is interested in the big problems it could solve. "Wearables have a lot of potential, and I don't think that potential has really been explored yet," he says. "We now have devices that monitor and store data, but now we need to make sense of that data and find the patterns in the noise. That is exactly what we want to do at Behaivior. This is only the beginning."